Seat yourself in ultimate comfort with our plush Lanos Executive Recliner. 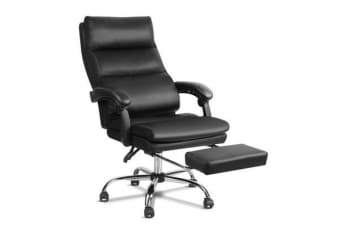 More than just a luxurious faux leather high back executive chair, this wondrous marvel is doubly layered and well-padded for supreme comfort. 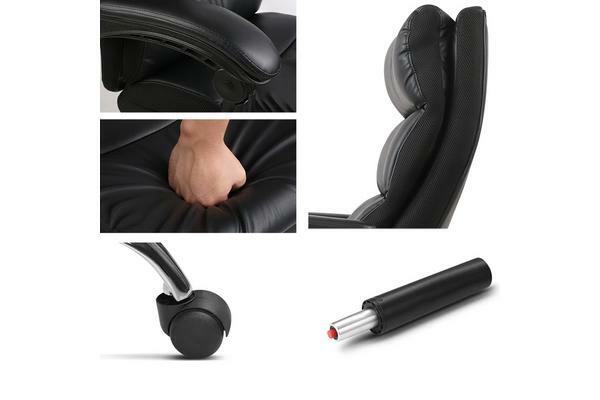 The soft lumbar cushion offers appreciable support for your lower back while the adjustable and lockable recliner lets you transform from chair to cot in minutes thanks to the retractable footrest for a well-deserved short break to recharge your senses. 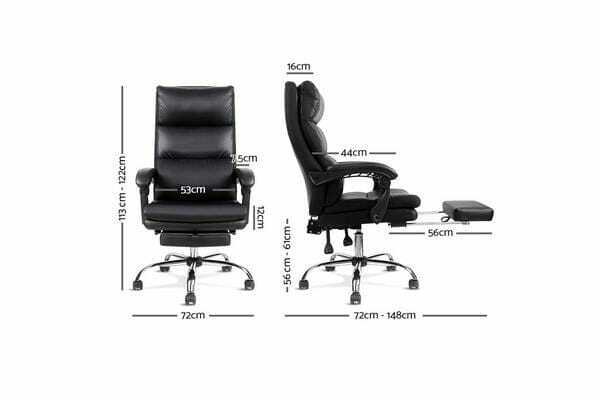 The Recliner can also be rotated to any facing, moved to any spot with its five dual-wheel castors and raised to your satisfaction with the SGS-certified gas lift.